The wait is gonna over and already the gaming community is excited about it. If you haven’t watched it yet, just watch the trailer and say what what you think about it. The Call of Duty has been one of the most popular FPS games in the history of gaming and it has gone through evolution in the past few years. The game started like a game related to something like an World War, then Modern Warfare came with new kinds of weapons, skills, better graphics and awesome gameplay, coupled with an excellent storyline. Then, the Black Ops and Black Ops2, which introduced us to futuristic wars in gaming. 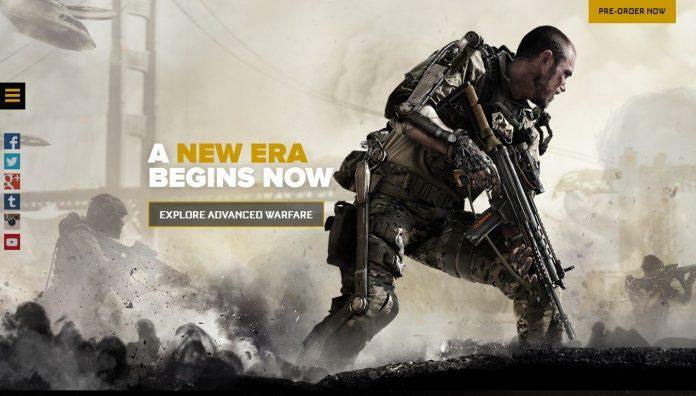 In the Advanced Warfare, you will see some things pretty similar to a far future scenario: Titalfall like soldiers, Drones flying everywhere, and much more. What I found in the trailer is that, it is some kind of similar to Black Ops 2, which sported a futuristic scenario with some pretty different weapons and toys, which never existed in any game like Call of Duty. Here, in the Call of Duty: Advance Warfare also we will see something like World War when a terrorist attack freezes the governments and military, striking off nuclear plants, and then a private military force called Atlas gets into the game and the story begins. You can also check that, I have added the video here.